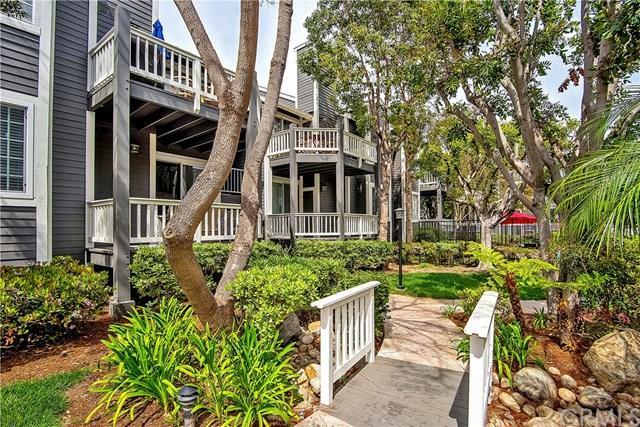 Nicely upgraded two-bedroom condo in Newport Landing. As you enter the home you are welcomed by an open floor plan and a clean color palette. The kitchen has been tastefully updated with granite countertops, full mosaic backsplash, recessed lighting and new appliances. 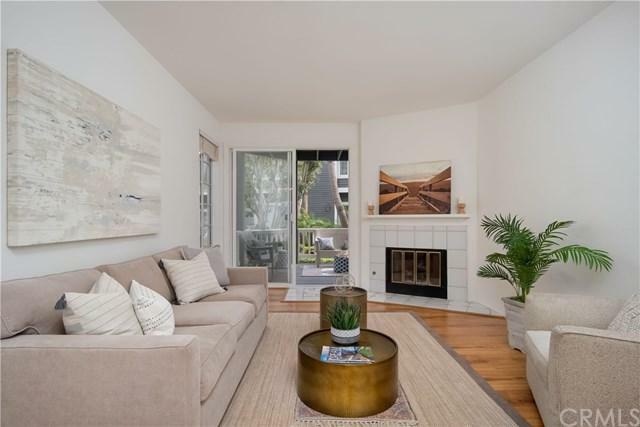 The living room offers high ceilings, a gas fire place, beautiful laminate wood floors, a large picture window and a sliding glass door leading out to a relaxing patio. The large master bedroom features high ceilings, new carpet and an upda Nicely upgraded two-bedroom condo in Newport Landing. As you enter the home you are welcomed by an open floor plan and a clean color palette. The kitchen has been tastefully updated with granite countertops, full mosaic backsplash, recessed lighting and new appliances. 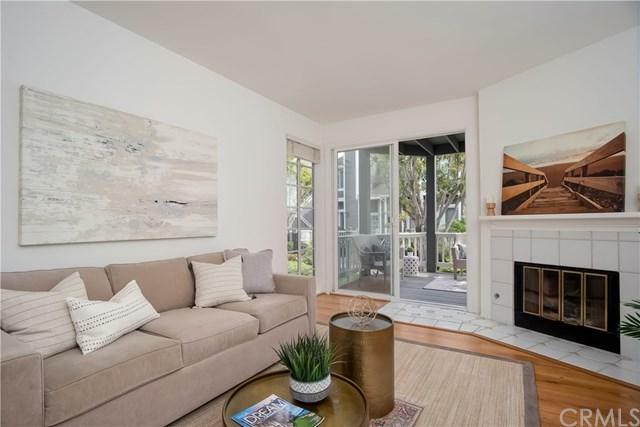 The living room offers high ceilings, a gas fire place, beautiful laminate wood floors, a large picture window and a sliding glass door leading out to a relaxing patio. The large master bedroom features high ceilings, new carpet and an updated master bath with a beautiful walk-in shower. In the hall there is a full guest bath and inside laundry closet with a washer and gas dryer that is included. The second bedroom offers new carpet and ample closet space. The home also features a newer furnace, dual pane windows, freshly painted interior and 2 separate single car garages that have ample storage space. Located in a relatively small community with 88 total units, two pools and two hot tubs. 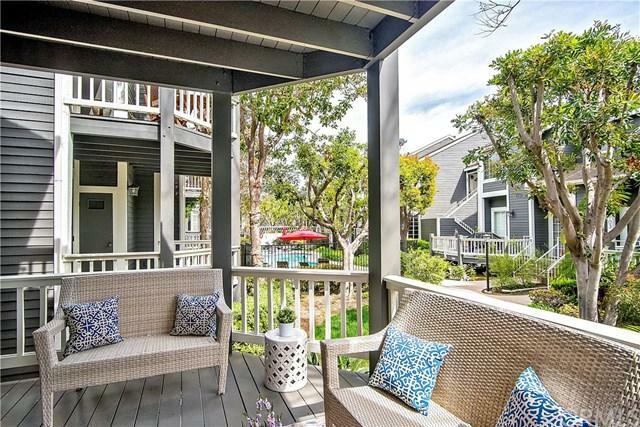 It is centrally located within walking distance to Newport Back Bay, parks, great restaurants, and OC Fair grounds. The location also provides easy access to 405, 55, and 73 freeways, John Wayne Airport, and South Coast Plaza. Welcome home.